I have compiled a list of must-have blogging resources, tools, and freebies to help grow your blog and income. I use almost all of these on a daily basis – and they all have had a helping hand in my blog’s growth (and the dramatic increase in my income!). It’s no secret to have a successful (and visually appealing) blog, you must have stunning images in every post, on every page, and use beautiful social media graphics on every platform. Although there are loads of free stock photos (In fact, I put together a massive list of them for you here), sometimes you need to purchase paid stock photos. It comes with the territory. Why? Well because generally, you get what you pay for. And it makes you look professional when you’ve invested in your blog and/or business. I’m not saying there aren’t lots of gorgeous free stock photos – there are loads of them. 2) You are limited in how you can use free stock photos. Free stock photos usually are only for personal use. And I know in my business, I need images. Paid stock photos are for commercial use, so you can use them for everything. Although I do utilize TONS of free stock photos, one site I would always purchase from is Ivory Mix. Her photos are so gorgeous and with her membership (Only $10 a month), you get access to 1000+images right away and 75+ every month! You can take a peek here. If you’re an aspiring freelance writer, or a freelance writer struggling to find REAL gig (the reoccurring gigs that lead to reoccurring monthly income that pays the bills), you need this course in your life. Write Your Way to 1K was a game-changer for me. I was able to write for big marketing blogs, like Blogging Wizard in a short time. > It shows you how to set up your business from top to bottom. Check out this info-packed course to see everything it has to offer – and all the extra goodies it comes with! 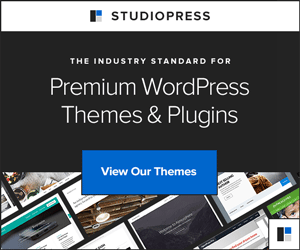 I recommend SiteGround for web hosting, for new bloggers (or any blogger!) because they’re an excellent host, and very affordable. They have impeccable customer service 24-7 and will make your website lightening fast! Bloggers everywhere are switching to SiteGround – and for good reason. If you already have web hosting and you’re tired of constant downtime and poor customer service, SiteGround will migrate your website for you – FOR FREE. If you want to check out their super affordable plans and endless features – click here. If you’re not switching hosts, but you’re starting a brand new blog or website, follow this step-by-step tutorial. It’ll walk you through every step of starting a money-making blog on WordPress with SiteGround. Although I do utilize many free fonts, it is always nice to purchase some paid ones. Here’s a variety of my absolute favorites for female entrepreneurs and bloggers. You can also grab ”Monday Goodies” from Creative Market – where you receive free fonts, images, graphics, etc – every week! You can snag those every week here. Studio Press creates beautiful Genesis themes, and they’re widely used among business owners and bloggers alike. I know TONS of happy bloggers and entrepreneurs who use Studio Press themes – I’ve never heard a negative thing. If you’re searching for a theme, look no further. They have a theme for EVERYBODY. Whether you are a food blogger, beauty blogger, E-commerce blogger; they have you covered! You can also check out my list of the best feminine themes on the market. Including my own, ones I own, and ones I’ve installed for clients. 6) A Prettier Web Themes. The theme I use for my blog is called The Boss Lady Theme by A Prettier Web. Best $50 I ever spent! There’s also a Course Lady Theme, Biz Lady Theme, and a Blog Lady Theme, by the same developer (A Prettier Web). They’re feminine, and have landing pages and lead pages built right in. So you don’t have to pay for a third-party service like Lead Pages. There are just so many extra features, that you normally wouldn’t get with most themes; I couldn’t resist! And A Prettier Web’s themes are surprisingly very affordable. Another website with fabulous themes. These themes are classy, yet feminine. Although I am in love with the theme that I currently have for this blog, when I start another blog I would definitely go with a theme from Restored 31. They are so pretty, but not in your face ”girly”. Restored 31 has themes for female entrepreneurs, fashion bloggers, food bloggers, lifestyle bloggers – and so much more. You can check out Restored 31 here. Grammarly is an editing software that I could not live without. If you type anything on your computer – you need Grammarly. The cool thing is, it not only works when you’re writing a blog post in WordPress but also on Facebook and most websites! Grammarly is so much more than a ”spell checker.” It fixes grammar, sentence structure, checks for plagiarism, and so much more. It also improves you’re overall writing and flow. They have a free version, and also a paid version. I recently upgraded to the paid version, and I couldn’t be happier. You get more features with the paid option, so it improves your writing 50% more. But if the paid version does offer a lot more, but if it’s not an option for you right now, definitely get the free version. It will still change your writing. They literally have everything. And you’re supporting many bloggers and biz owners that you probably know at the same time. And as I mentioned, you get access to free goodies every single week. I probably don’t need to tell you how crucial growing your email list is, right? I know most new bloggers opt for MailChimp (I did). BUT, I found out quickly they didn’t have the features I needed to grow my blog and business. Mailerlite has more features than Convertkit even has! It’s robust, FREE, and you get $20 if you ever upgrade! For new or experienced bloggers and biz owners alike: think twice before opting for something like MailChimp. I regretted it – and you will too. You won’t be able to host multiple freebies (that’s why I switched mainly), and it simply doesn’t have all the features you need as a serious money-making blogger or business owner. Not to mention Mailerlite is cheaper than MailChimp OR ConvertKit. As in, a lot cheaper, even as you grow and have 25,000-100,000 subscribers! Speaking of growing your email list, OptinMonster is a wonderful lead generation tool that allows you to put pop-ups, welcome mats, and many other forms on your website to convert visitors into subscribers, and then turn those subscribers into customers. OptinMonster is a great investment in your business or blog. It’s very common with successful bloggers and online entrepreneurs these days. Name Cheap is a website where you can purchase inexpensive domain names. (With my link, you can get one for $0.88!) They are an excellent company, and many bloggers use them for their domain names. You can try Name Cheap here. TailWind is a fantastic Pinterest scheduler that saves you massive time, and will increase your blog traffic tremendously. Pinterest now makes up 60-70% of my blog traffic – making it my largest source of traffic! Like many, I used Board Booster (before it shut down). However, I also did use TailWind in conjuction – for some of TailWind’s more robust features. I’ll admit, I was super sad when Board Booster closed down. But, I was pleasantly surprised by how well TailwWind took over. And now, I adore TailWind! Before I reccomended TailWind to my readers – I wanted to ensrure it WAS indeed a great platform. So I’m thrilled to announce it gets my stamp of approval! I cannot praise Canva enough. I use Canva to create all the graphics you see on my blog, and I also use it to create images for social media. They have a free version, or you can go for Canva For Work (I upgraded after a few months) and get more features. The free version is great, but my favorite thing about Canva For Work is that you can upload your own fonts. I use free sites like dafonts.com to download gorgeous fonts, and then I upload them to Canva. You also get a page for your branding. So I have all my brand colors, fonts, and logos in one spot. It’s quite handy. Not to mention you get to save templates for every graphic or image you create – to save you time! You can create Pinterest graphics, social media graphics, E-Books, checklists, and so much more. Pic Monkey is another awesome program (like Canva) that creates any kind of social media graphic you could want – or create printables, e-books, or anything you desire! It’s also a powerful editing software to edit images. It’s a matter of preference whether you use Pic Monkey or Canva. I personally have used both, and use both on the same image sometimes. Pic Monkey has a free trial and also works on mobile – so it does make it super handy when you’re on the go. If you offer any services on your blog, you will need to give your customers invoices. Freshbooks was created for small businesses, and it’s an awesome program to create and send professional invoices, along with a ton of other features perfect for small business owners. You can get a free 30-day trial here. After that, you can cancel – but something tells me you won’t want too. It’s affordable after the trial as well. If you’re a blogger or online entrepreneur, chances are you use social media. Especially with Twitter, it’s annoying to have long links (URLs). So, with this completely free website, you can shorten any link you want. I have this free site bookmarked, and use it almost daily. You can check it out here. TailWind is another popular option to schedule your pins on Pinterest (like Board Booster). I have used TailWind and it is a great app -and I still use their TailWind Tribes. Which are an invaluable tool to growing your traffic with Pinterest. And recently, TailWind has started offering Instagram scheduling as well. One of the best features about TailWind is that it will suggest times for you to post, based on your followers and the times that the app knows are optimal.